All the wonders at few steps from Papaperta. Masseria Papaperta is located in a strategic position that allows you to quickly reach all the main tourist destinations of the Valle d’Itria and central Puglia. Whatever your destination is and whatever the type of your trip is, with a stop at Masseria Papaperta you can continue to experience all the magic of the most authentic Puglia, without getting too far from the destinations of your itinerary. 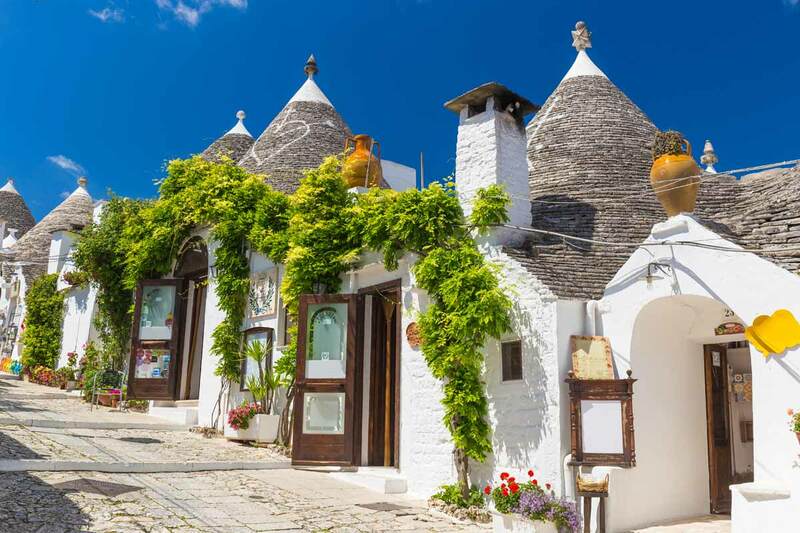 Capital of the trulli and UNESCO heritage. Probably one of the most famous and characteristic destinations of Puglia. Enjoy the walk through these ancient stone buildings and have fun deciphering all the chimney symbols. One of the largest Italian speleological complexes. Those who love to immerse themselves in the heart of the earth and in the meanders where nature has remained uncontaminated for millennia can not miss the spectacle of stalactites and stalagmites of the Castellana Caves. 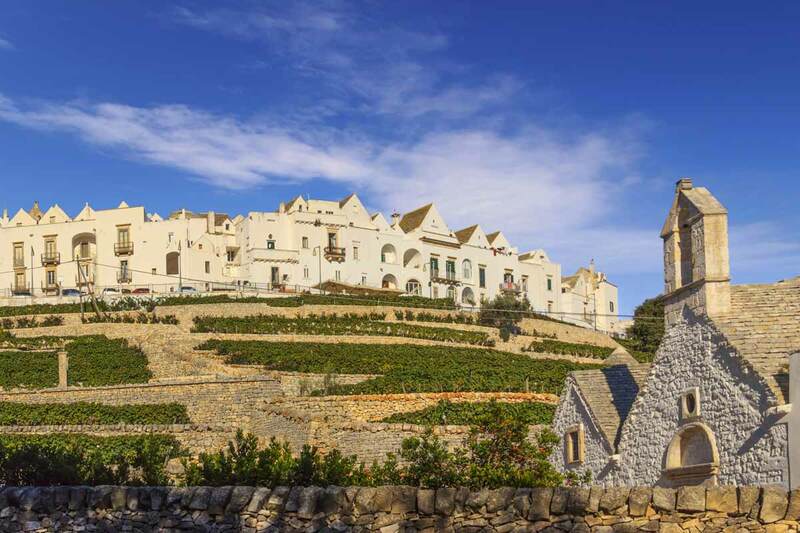 In the middle of Puglia, Locorotondo is one of the most beautiful villages in Puglia. It owes its name to its circular shape that gives the tourist an “all-round” look on the Valle of Itria. Impossible not to photograph it. 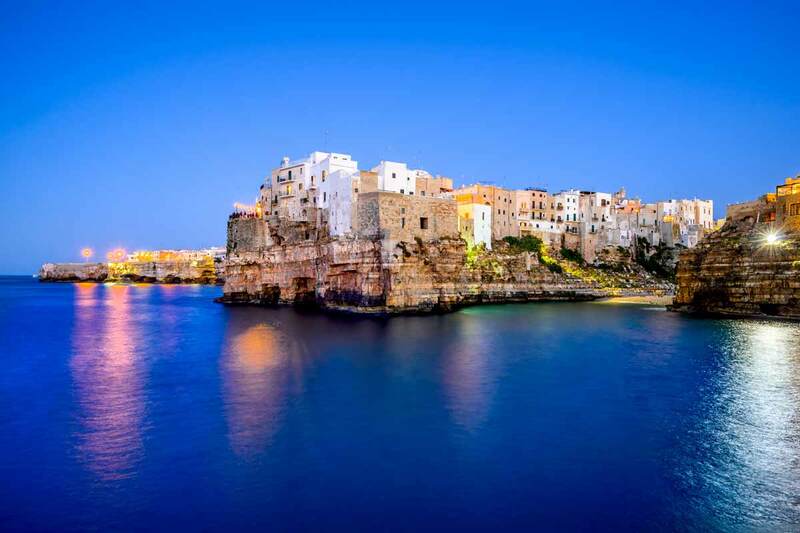 With its terraces overlooking the sea and its lively old town, Polignano a Mare is the favorite destination for those who love breathtaking sea views and romantic foreshortenings. Named the “white city” because of the lime that covers the houses of the old town, Ostuni enchants visitors with its belvedere overlooking the valley of Itria where sky and sea meets on the horizon. Here at Masseria Papaperta we believe in the artistic and cultural value of our territory and we encourage anyone who undertakes to promote it, defend it and spread it. For this reason we make discounted rates for tourist agencies active in the enhancement of the historical and artistic heritage of our land.